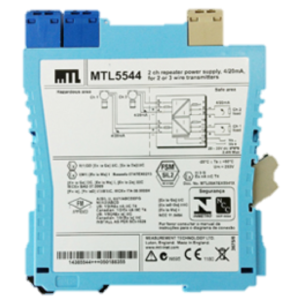 The MTL5526 enables two separate IS circuits in a hazardous area to be contact controlled by one or two, on/off, control signals in a safe area. 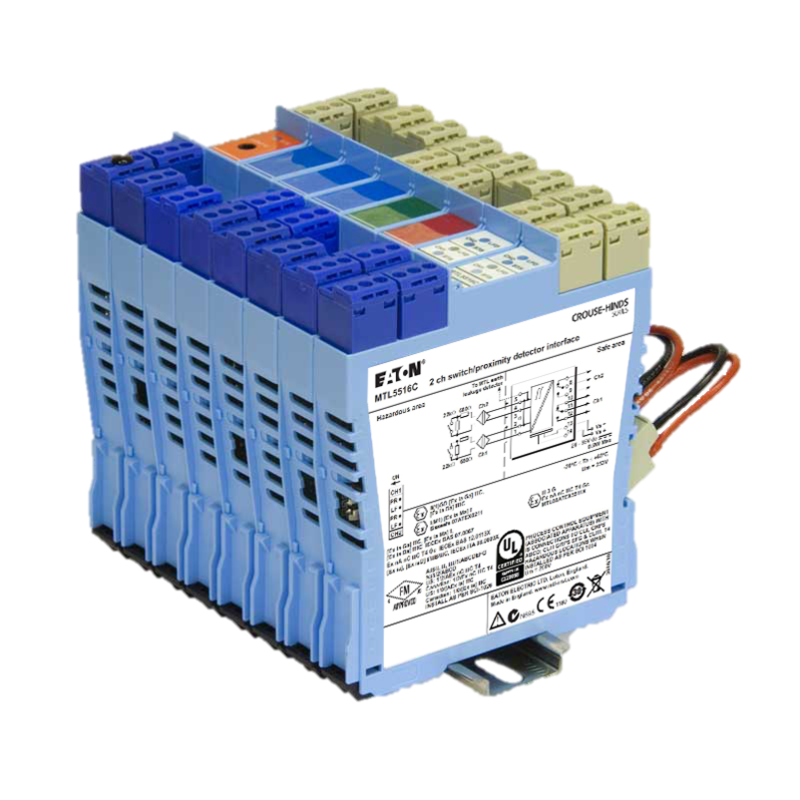 Applications include the calibration of strain–gauge bridges; changing the polarity (and thereby the tone) of an IS sounder; the testing of IS fire alarms; and the transfer of safe-area signals into an annunciator with IS input terminals not segregated from each other. 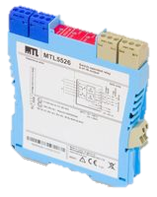 The MTL5526 enables two separate IS circuits in a hazardous area to be contact controlled by one or two, on/off, control signals in a safe area. Applications include the calibration of strain–gauge bridges; changing the polarity (and thereby the tone) of an IS sounder; the testing of IS fire alarms; and the transfer of safe-area signals into an annunciator with IS input terminals not segregated from each other. 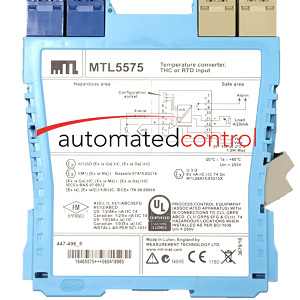 The output–relay contacts are certified as non–energy–storing apparatus, and can be connected to any IS circuit without further certification, provided that separate IS circuits are such that they would remain safe if connected together.